An award for students with previous theological study who are now preparing for Christian ministry. The Diploma in Ministry (Dip.Min.) is a one-year (30 credit) program for students with previous theological study who are preparing for ministry in an Anglican church or other denomination. The program combines a ministry placement with coursework in subjects related to Christian ministry and Anglican studies. The program is designed for students who studied theology at some point in the past but had no intention of entering ministry then or those who are looking to transition into ministry in the Anglican tradition. Students in the Diploma in Ministry are enrolled in the college’s In Ministry Year, an innovative program of contextual theological education. Students are placed full-time in a parish or other ministerial setting and work closely with a designated supervisor and learning support committee. They attend that church every Sunday, leading worship, preaching, and generally becoming part of the life of the community. Every other week, they work in the parish for 40 hours during the week, contributing to the ongoing ministry of the church and being exposed to a variety of learning opportunities. This in-person learning is complemented by ongoing classroom learning. Every other week, students return to the college for courses that are structured to enable students to reflect on their placement and further their preparation for ministry. All these courses (except those in Anglican studies) are taught ecumenically by faculty of the Montreal School of Theology. Anglican History and Theology (3 credits): An overview of the Anglican tradition, with a particular focus on contemporary expressions of Anglicanism around the world. Anglican Liturgy and Worship (3 credits): The theology and development of Anglican liturgy. 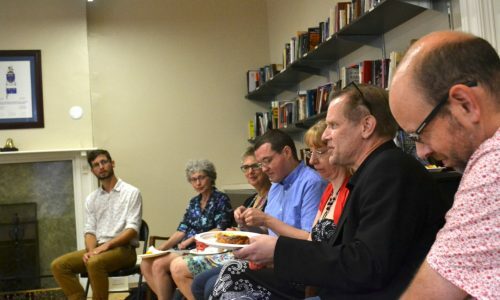 In addition, students are enrolled in a non-credit seminar on Liturgical Celebration and meet an intercultural encounter requirement, which is decided in consultation with college faculty. To apply to the Dip.Min., students must apply directly to the college. The general requirement for admission is a previous degree in theological studies—including Bible, church history, theology, ethics, and other related subjects—at the undergraduate or graduate level. Contact us for more details about how your background may have prepared you for admission to this program. In certain circumstances, we may ask you to take one or more qualifying courses to round out your previous education and ensure you are prepared for the program.